In times like these—oh, the casual gang murder on the subway in broad daylight—it's important to remember what's most important: the feelings of criminals. That's the message Andrew Cuomo is sending in his new budget request. Cuomo wants to "remove barriers to re-entry" for criminals. 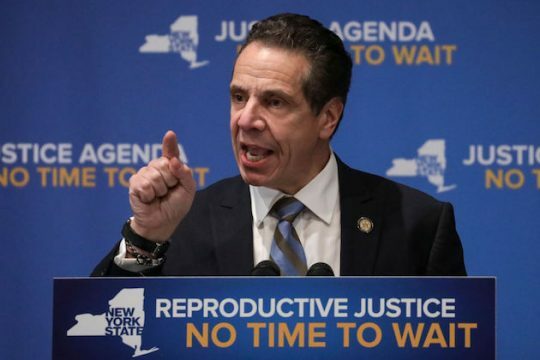 Aside from increasing "compassionate release," and reducing their "financial burdens" once they are out, Cuomo has his sights on the scourge of society that is … mugshots. The Governor of New York is pushing legislation that "prevents the sharing of mugshots that do not have a specific law enforcement need." His aides, who undoubtedly support such a measure, claim the reasoning behind the law are websites that post mugshots and demand money from ex-cons before they are taken down. This justification has been called "ridiculous," as is the other excuse Cuomo makes for banning mugshots: they constitute an "unwanted invasion of personal privacy." It couldn't be that Cuomo is soft on crime. Well, except for crimes against the infallible news media. Does Cuomo not want to publicly shame his hypothetical MAGA-hat wearing assaulters if they attack a journo? Banning mugshots would also require a change to New York's Freedom of Information law. So much for transparency. The Syracuse New Times points out Cuomo's proposal is even worse than an all-out ban on mugshots, because police would be given the "discretion on what gets released to the public." Arresting people in secret? What could go wrong? "Barring the public release of arrest and related information is not only a step away from long-standing tradition; it's also a move toward corrupt law enforcement, to say nothing of Soviet-style secret arrest and prosecution," writes Bob McManus of City Journal. Cuomo's mugshot ban comes at a time when a growing number of New Yorkers are concerned "crime and disorder" are on the rise on the city's subways. In January, a sleeping rider was stabbed in the head with a screwdriver on New York City's subway. A month before that, a police officer fended off five homeless men who attacked him on a train platform. And on Sunday afternoon, a man was fatally shot at a subway station in Queens, the first recorded murder on the system in six months. God forbid we let the public know whether any arrests have been made, lest we shame the alleged perpetrators. But why stop at mugshots? After all, in Cuomo's New York it is "un-American" and "illegal" to arrest people for breaking the law. This entry was posted in Issues and tagged Andrew Cuomo. Bookmark the permalink.